Spring! Blooming flowers, singing birds, green trees and cozy weather what a wonderful season. Buts this season is not as pleasant as it seems to many. All the greenery brings pollens (which are an allergen) with it which causes high risks for allergy sufferers. Similarly, if these allergens come in contract with your eyes they leave them swollen, red and itchy which is called allergic conjunctivitis. Other than this eye allergies can also occur when our body overreacts to something.Let me introduce to some self-help strategies that can help you avoid eye allergies. Prevention is better than cure, true it is. Therefore, if you get allergies easily try to figure out the allergens you are allergic to, avoid exposure to them to reduce the symptoms. Pollens are just an example of seasonal allergens however dust mites, pet dander and mold spores are other allergens. If you are allergen to pollen avoid going out on dry windy days. 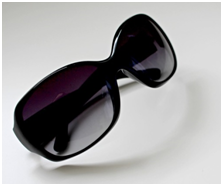 In addition to this while stepping out try to wear wraparound sunglasses to protect your eyes from common allergens. Reduce your use of contacts. Do you wear contact lenses frequently? This can be a reason for your eye allergy. Using same contacts for prolonged time can collect dust and bacteria that may cause allergy. In this case we will recommend you to take good care of your contacts or just switch to disposable contacts. Try to rinse your contact holder and contacts after every time you use it. This will was airborne allergens to avoid building up. Last but not the least;try to discontinue wearing contacts during allergic times of the year. Use Artificial Tears For Flushing. Another way to treat your eye allergy is to use over the counter eye drops to flush your eyes. Artificial tear drops that contain Allegra and Zyrtec can help sooth your itchy red eyes by washing out airborne allergens. Just use these non-prescription drops the way package directs. But if the symptoms do not disappear consult an eye specialist. If you are a makeup obsessed and you compromise on your obsession due to you allergy, we have solution for this as well. Now many of the brands have introduced eye makeup products that are specially designed for people who suffer from eye allergy issues. Use natural ingredients such as cucumber, ice, potato slices or used green tea bags. To cool your itching eyes wrap ice cube into a clean cloth and slightly rub your eyes with it. 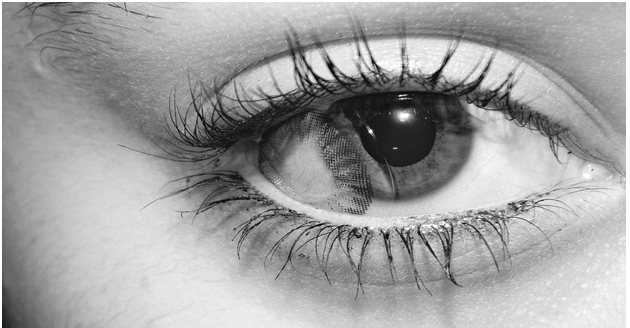 Secondly, you can use refrigerated cucumber and potato slices over your eyelid to reduce swelling and redness. Green tea is another great alternative for this reason it also has antiseptic properties in it. Other than this,try to keep your home vacuumed to avoid allergy triggers.